EghtesadOnline: Ending absolute poverty in Iran was one of the pledges President Hassan Rouhani made during his reelection campaign last year, which plan many experts, including Deputy Minister of Cooperatives, Labor and Social Welfare Ahmad Meydari, believe is impossible. “Absolute poverty is defined as the national poverty line and no country has ever managed to eradicate absolute poverty. President Rouhani said his government would aim to end absolute poverty in his second term. 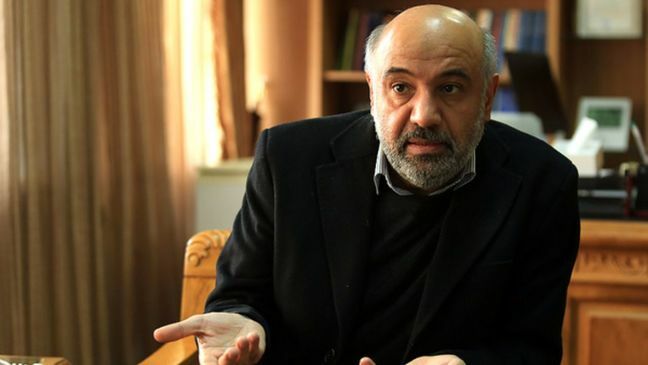 The labor ministry, however, interprets it as reducing food poverty among 880,000 Iranian households on a 20-trillion-rial [$476 million] budget which will be realized as of [the Iranian month of] Khordad [May 22-June 21],” he said in a conference at the Social Sciences Faculty of Tehran University last week. Meydari noted that international institutions put the prevalence of household food poverty in Iran at over 4%, while according to domestic estimates, food poverty stands at more than 2%, the Persian daily Shargh reported. “In Iran, poverty mostly targets three groups: the elderly, women and people living in suburban areas. Households of five members should not have an income of less than 6.9 million rials (about $164). The government has committed itself to ensuring the food security of these families,” Financial Tribune quoted him as saying. Referring to the recent depreciation of rial and its ensuing effects on the inflation rate, Meydari said more people are expected to slide below the poverty line. “There has been an observable shift in the narrative of poverty over the past decades. ‘The oppressed’ of the 1980s became ‘the deprived’ of the last decade; now the buzzword is ‘the vulnerable’. Why do such changes of diction occur? Which one is correct?” he said. The deputy minister noted that sociology helps explain the choice of words that are not selected accidently. “The transformation of capitalist to entrepreneur was not unpremeditated. Social, economic and political interactions are to blame for the poverty of the oppressed. Their poverty is not inborn. That they cannot live like others is to be blamed on society, politics and economy,” he said. Noting that conflict of interests is at the root of inequality and poverty in Iran, Meydari said a handful of power-wielding groups exploit the resources of other groups. Some groups, including owners of finance institutions, banks, stocks and insurance, have inherent powers that help them exploiting the resources of other groups, including ordinary people or even the industrial sector. The official said credit institutions’ crisis of late is a testimony to this fact. “Since late 1990s, private banks have used the resources of people and industries for their own gain. The government was forced to spend 120 trillion rials ($2.85 billion) from people’s pocket to pay banks’ debts. Lack of a mechanism to control these groups would worsen poverty and reinforce inequality,” Meydari added. Unlicensed financial and credit institutions that mushroomed in the past decade have been a major source of trouble for the banking system in recent years. They used to hold more than a quarter of the country’s liquidity that has now been brought down to below 10%. “Engineers and physicians’ guilds have the power to advance their own interests. Even capital cities and metropolises have the power to take advantage of the resources of smaller towns. Currently, the municipality pays 18 million rials (about $428) for a person living in Tehran, 8 million rials ($190) for a person living in Isfahan and below 2 million ($47) for those who live in other cities,” he said. Meydari concluded that one of the dreams of the welfare division of the Ministry of Cooperatives, Labor and Social Welfare is to identify the destitute and level the playing field for all groups. Rouhani says Iran will remain in nuclear deal without U.S.